Celandine is a flavescent resume template, with shades of yellow and gray. 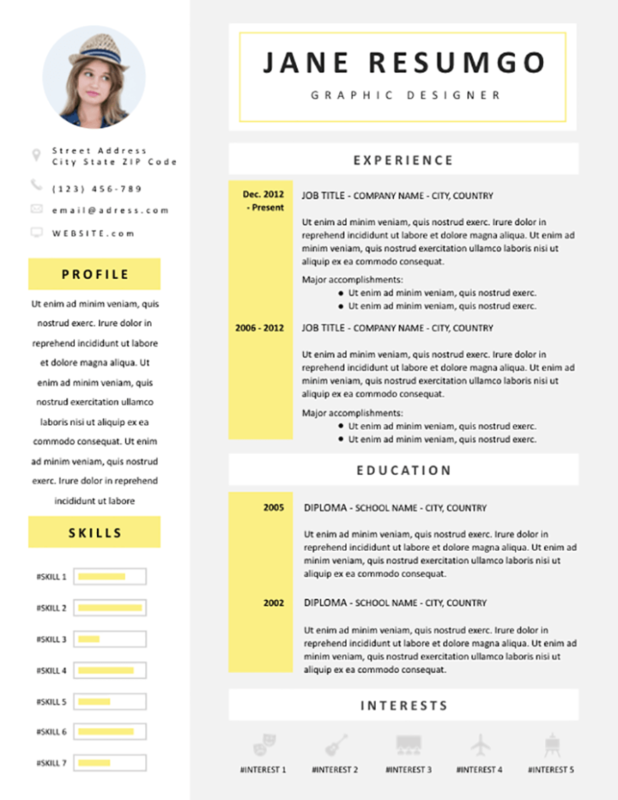 Attractive CV layout with 2 vertical parts. The white left-side of this resume will set apart your secondary information: photo, personal information, custom statement (profile/objectives), and skills (using vertical bars looking like batteries). The main right part is a wider column with a gray background. The dates are embedded in a yellow column and each part title in a white horizontal banner. Use this column for your name, professional experience, education and interests (icons).